Let’s have a little chat about booze & breastfeeding. I know, I know…it’s not even 10AM! But as we prepare to ring in the New Year many of you will be considering having a drink or two this evening…and guess what? It’s OK!! It always surprises me when a new Mama seeks “pump & dump” advice; not realizing that she can have a glass of wine or when someone comes up to me at a gathering and asks “is it OK if you drink that since your breastfeeding?” Having a drink or two while breastfeeding is perfectly fine, in fact, I encourage it. Most mothers abstain from alcohol for the duration of their pregnancy…baby arrives…parenthood +/or breastfeeding can be stressful (big shocker!). The thought of abstaining from alcohol for another (however many months you plan on breastfeeding) is unappealing & so you consider the alternative. Let’s get one thing straight…It is better to have a drink every now & then, than to give up breastfeeding!! Don’t get me wrong, I am not encouraging you to drown your stressors away , I’m a huge fan of “everything in moderation”. Here’s a little rule of thumb from the folks over at KellyMom: “In general, if you are sober enough to drive, you are sober enough to breastfeed. Less than 2% of the alcohol consumed by the mother reaches her blood and milk. Alcohol peaks in mom’s blood and milk approximately 1/2-1 hour after drinking (but there is considerable variation from person to person, depending upon how much food was eaten in the same time period, mom’s body weight and percentage of body fat, etc.). Alcohol does not accumulate in breastmilk, but leaves the milk as it leaves the blood; so when your blood alcohol levels are back down, so are your milk alcohol levels.” Therefore, there is no need to “pump & dump”; except of course as a comfort measure. If you choose to drink alcohol, please remember first & foremost that you are responsible for a child(ren). Please drink responsibly. a drink poured out as an offering to a deity. I’ve been thinking about starting a breastfeeding blog for some time now…and amazingly, have even been encouraged to do so (people actually want to read what I have to say??) The only thing that was stopping me was a name. I thought and thought and thought some more. And as original as some of my ideas seemed, when I Googled them they were already taken or there was a site too similar. Breastfeeding is a part of our life. Especially when we are home, snuggled up with our two boys; there is a pretty good chance that they are nursing. We are a family of lactivists. 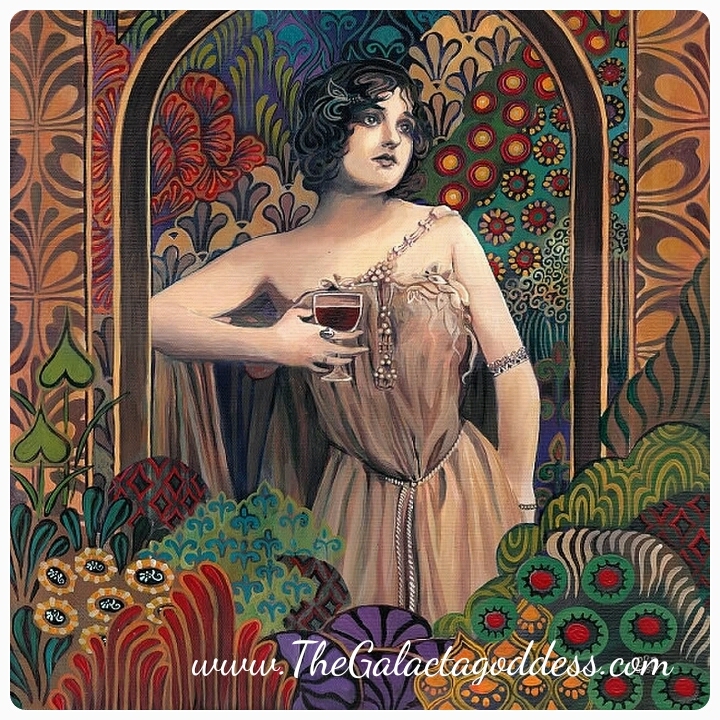 And so, one evening, as I spouted off a story about galactagogues (substances that promotes lactation), my ever so witty husband called me a Galactagoddess. Immediately, I thought “That’s it! That’s the name of my blog!” but then I thought some more. I’m a pretty humble gal, did I really want to compare myself to a deity?? Well, you know the answer, because otherwise I wouldn’t be writing about it! I’m not asking anyone to put me on a pedestal. I’m putting myself on a pedestal. I’m owning up to my ability to do something pretty amazing…the ability to sustain another human being. And I’m inviting you to do the same. Whether you breastfed for a day, a few weeks, six months, one year, four years…you are a goddess in my book. DISCLAIMER : Obviously, I feel very strongly about breastfeeding, but I know that there are women who can not or do not want to breastfeed. I respect their decisions (they are merely goddesses of a different nature). 1. A female being of supernatural powers or attributes, believed in and worshiped by a people. 2. often Goddess A female being believed to be the source of life and being and worshiped as the principal deity in various religions. Used with the. 3. An image of a female supernatural being; an idol. 4. Something, such as fame or wealth, that is worshiped or idealized. 5. A woman of great beauty or grace.